Scale: Unknown. 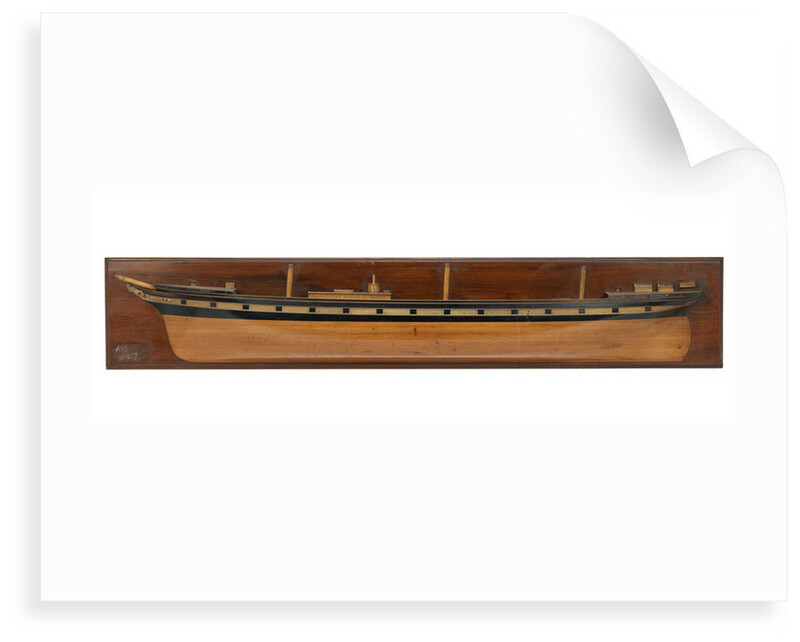 A half block model of the port side of the ship-rigged passenger/cargo vessel 'Poseidon' (1881). The model is made entirely from wood. 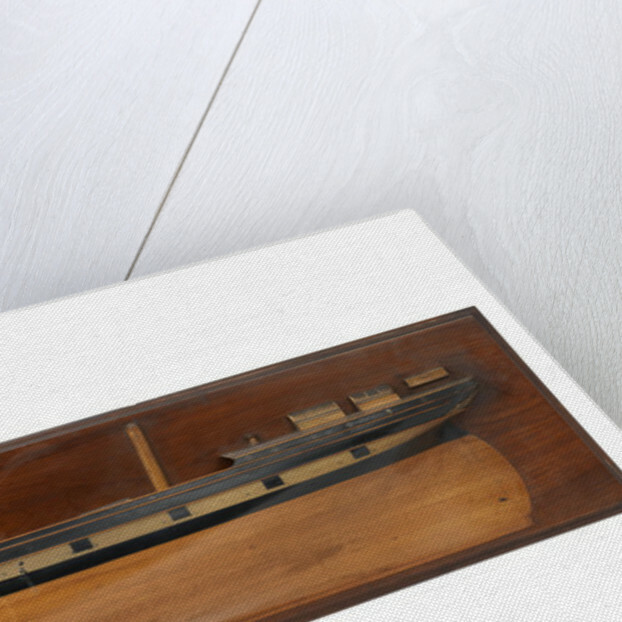 The hull is made in bread and butter construction, varnished in natural wood with the upper portion and bulwarks painted black with a thick creamy-white horizontal line, complete with fifteen fake gunports. The black portion of the hull is fitted with fifteen circular portholes at the forecastle and quarterdeck levels, two hawsepipes and a carved female figurehead in robes finished in a creamy-white with gold highlights and a trailboard above with the name Poseidon painted in gold. 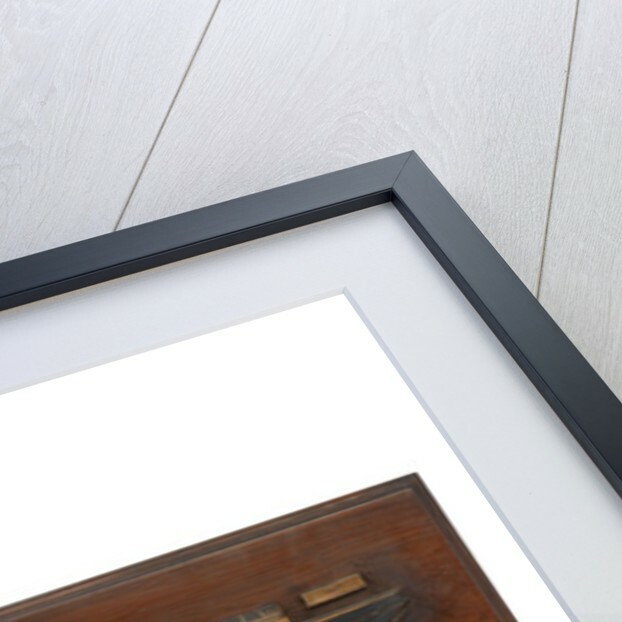 The model is fitted with three wooden laid decks, finished in a dark brown to light brown colour and varnished? together with three wooden stump masts in natural wood and varnished. Fixtures and fittings include two capstans, two cargo hatches, a deckhouse with a donkey engine on the roof and four various shaped skylights. At the stern on the quarterdeck is the steering box cover (wheel and fittings now missing) which has been decorated with foliage relief picked out in black ink. The stern is fitted with a rudder with fittings inked on whilst above under the counter is a decorative ropework scroll with the ship's name painted in gold lettering below. 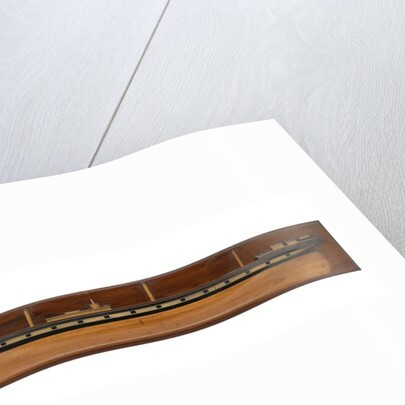 The whole model is mounted on a stained mahogany backboard with a moulded edged and varnished overall.